Both of my son's are members of the West Johnston High School Marching Band, and Finished Fibers provided a quilt this year for raffle. 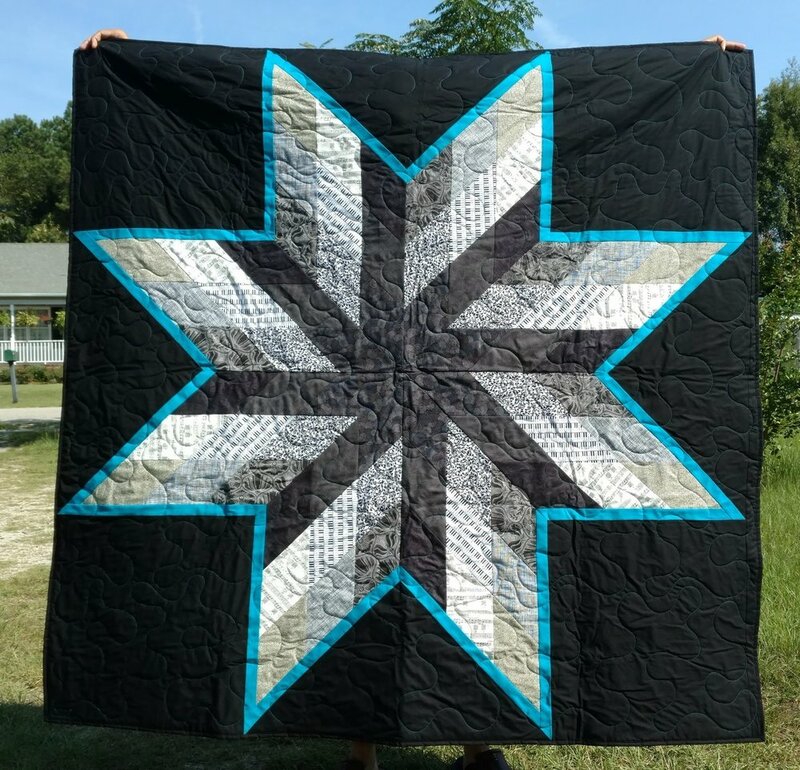 Yes, this brilliant teal, black, and white star quilt with music themed fabric can be yours...if you are lucky enough to win! We are raffling the quilt all year long and tickets are $2.00. The quilt is absolutely worth it! The quilt is beautiful and the cause is worthy! Band is a super program that teaches so many wonderful skills...leadership, discipline, physical stamina, teamwork, and musical exploration. We would love your support or support a local band in your own community! And yes, I did finally figure out how to put pictures into my blog and other places on the site...go check them out!